The NCAA has punished a former Appalachian State assistant football coach who violated bylaws by texting a prospect’s mother 416 times. The prospect’s father “provided the institution with copies of text messages between a football assistant coach and the prospect’s mother” on June 2, 2015. (The NCAA didn’t provide names for anyone involved.) Seven days later, the NCAA talked to the assistant coach. He resigned on June 29, 2015. The former assistant coach knew he could not text prospects or their parents. He did so anyway. He exchanged text messages with the mother of the prospect after he met her, the prospect and the prospect’s father on their unofficial visit to the institution in fall 2012. Shortly after the unofficial visit, the former assistant coach cautioned the mother that they were not supposed to text under NCAA rules. He justified his actions by claiming that as long as nobody knew, it was fine. The impermissible communication continued for roughly four months and went undetected because the football program never identified the prospect as a “recruited prospect.” Therefore, the institution’s monitoring software never recognized the text messages as impermissible. The absence of the “recruited prospect” designation, however, was not an exception to the prohibition. He was still a prospect under the bylaws. The former assistant coach asserted that the text messages were related to advice regarding general admission to the institution. Others were personal in nature. Regardless, the text messages sent to the prospect’s mother were still prohibited. 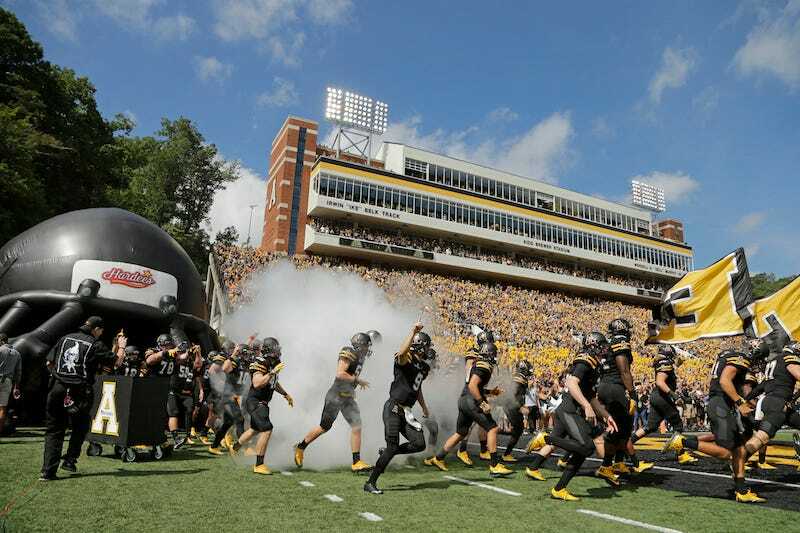 The NCAA fined Appalachian State $5,000 and gave the coach a one-year show-cause order. If he’s hired by another school, he’s unable to participate in any recruiting activities until Aug. 31, 2017. The NCAA’s decision is below.